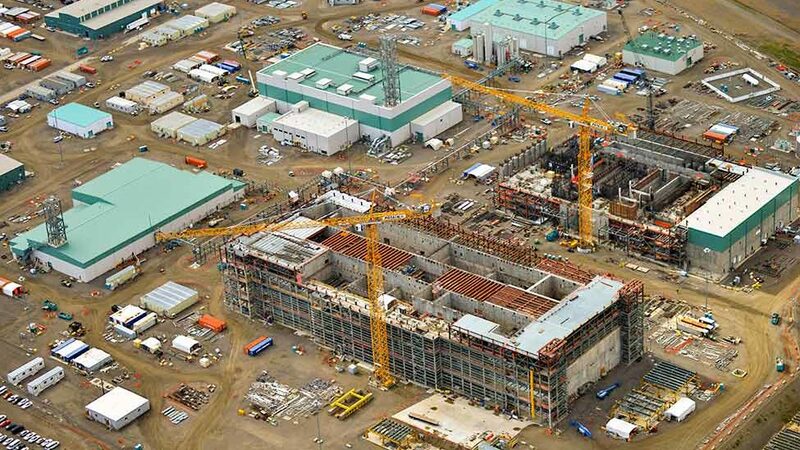 “Bechtel National, Inc. is designing, constructing and commissioning the world’s largest radioactive waste treatment plant for the U.S. Department of Energy (DOE) in Richland Washington. When complete, the Hanford Tank Waste Treatment and Immobilization Plant (WTP), also known as the Vit Plant, will process and stabilize 56 million gallons of radioactive and chemical waste currently stored at the Hanford Site. In 2011, HukariAscendent (previously Hukari Technical Services) was awarded a Technical Support Services (Nuclear Safety, Engineering, and Health & Safety) contract. HukariAscendent continues to provide technical support services. Performed Integrated Safety Management (ISM) reviews. Developed Hazards Analysis Procedure and Handbook, Hazards Analysis Reports, Safety Evaluations, Safety Basis Change Packages (SBCP), Justification for Continued Design, Procurement, and Installation (JCDPI), and Preliminary Documented Safety Analysis (PDSA) Reports. Developed structure and procedures to implement Nuclear Safety programs, procedures, and processes that reflect DOE complex experience and practices. Provided senior project nuclear safety management support in the definition, development, implementation, training and mentoring in the implementation of DOE-STD-3009 processes. Supported updating the training and qualification program for nuclear safety personnel and performed self-assessments of several safety basis program elements. Provided Fire Protection Program development for project commissioning, including Fire Protection Manual and Hotwork and Fire Protection System Impairment procedures and requirements documents. Worked with nuclear safety staff to maintain the fire hazards analyses for the projects and to support maintenance of the documented safety analyses. Provided an Instrument and Controls Systems Engineer Consultant to review the design of the Waste Treatment Facility for the DOE. This review included the identification of issues and opportunities for improvement regarding the operability, maintainability and throughput assumptions. Served as a Member of the Erosion/Corrosion Test Team responsible for developing surrogate and test methods to evaluation the impact of erosion, corrosion, and the synergistic impact of erosion/corrosion over a 40 year functional life of the facility. Developed Health & Safety (H&S) procedures, policies, and instructions, and technical documents in accordance with project requirements to support construction and commissioning/operations.